The amazing feature of Giant PolyPlay is the wide diversity of models it can create. It is a great range for nurseries, kindergartens and primary schools. 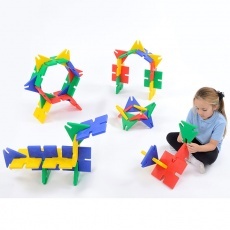 The sets are all based upon interlinking square and triangle pieces. All the pieces slot together with the square having 4 connecting points every 90 degrees and the triangle every 120 degrees. 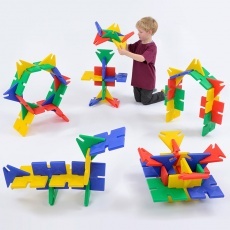 Giant PolyPlay makes a wide variety of large, geometrically challenging models as well as common everyday shapes, objects, people and animals. All the sets include a model ideas guide. 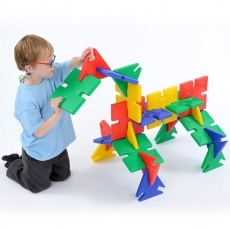 Follow the instructions leaflet to build fun models or let your imagination run wild building your own creations!